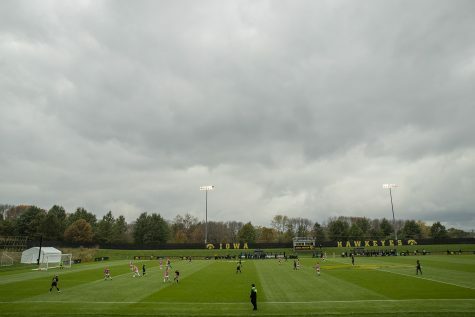 Two more matches turned into two more wins for the Iowa soccer team over the weekend. 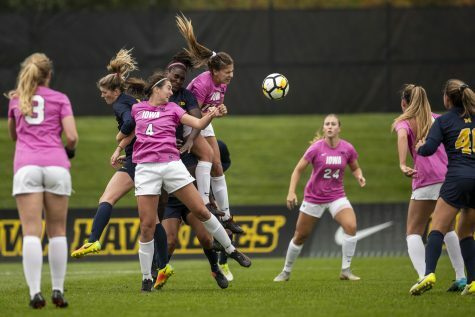 The Hawkeyes finished up their nonconference season with a 1-0 win over Iowa State Sept. 11 and a 3-0 defeat of Illinois-Chicago on Sunday. 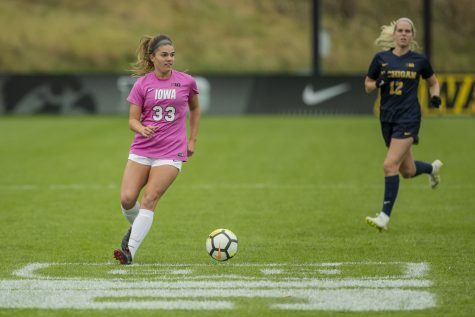 Soccer was the first of the three teams to defeat the Cyclones this past weekend, just two hours before the Hawkeye volleyball team earned a victory. The lone goal of the game came on a corner kick in the first six minutes of play. 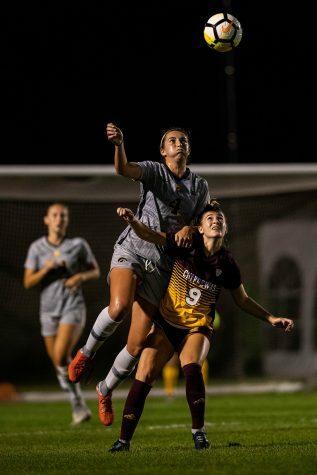 Junior Tory Harman tallied the first goal of her career by heading the ball out of the hands of Iowa State goalkeeper Lindsey Henden. 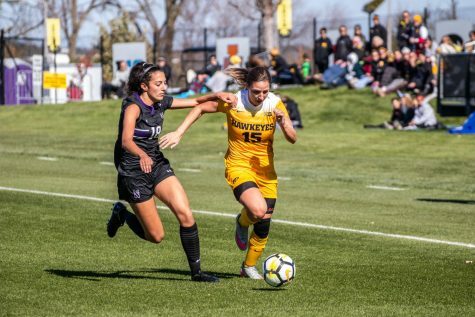 Iowa controlled a good portion of the rest of the game, keeping the ball on Iowa State’s side and forcing the opposition to play defense for the first 70 minutes. However, the Hawkeyes seemed to lose a bit of momentum toward the end of the game, and the Cyclones took advantage of that. In the last 20 minutes, it seemed as though Iowa was playing not to lose rather than to win. Most of the time was spent in Iowa’s half, and the team struggled to keep the Cyclones from taking shots. 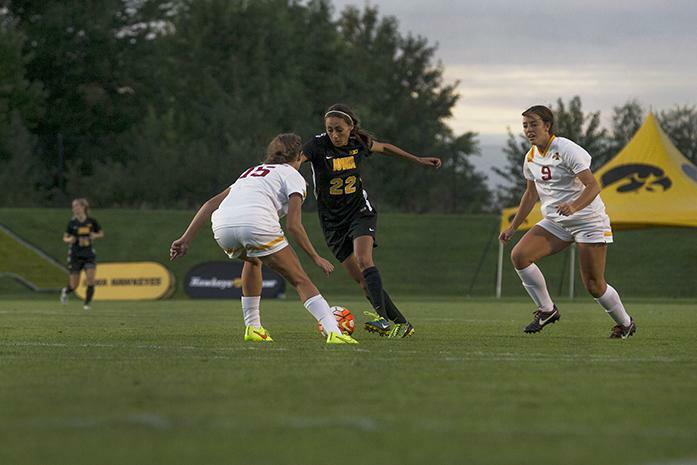 Seven of Iowa State’s 15 shots came after the 71st minute. Iowa’s defense did its job once again, recording its third shutout of the season. Senior goalkeeper Hannah Clark registered 6 saves. Win No. 6 came Sunday with Iowa’s victory over Illinois-Chicago. 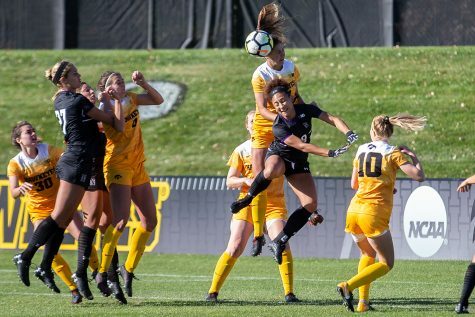 Junior forward Bri Toelle notched her fourth goal of the season during the 14th minute, but it took more than 50 minutes for the Hawkeyes to score again, keeping Illinois-Chicago in the game. 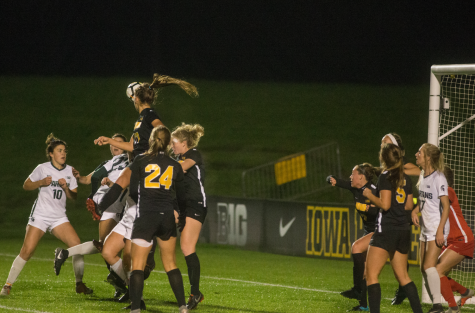 The second goal came from freshman Hannah Brobst, who saw game minutes for the first time in her career as a Hawkeye. Fewer than four minutes after entering the game, she celebrated her score. 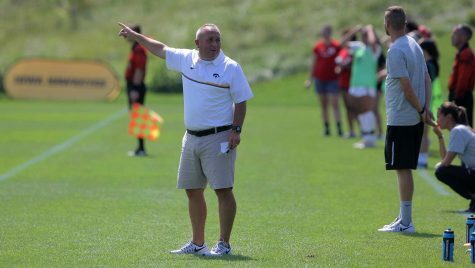 Although the Hawkeyes came out victorious, DiIanni was looking for more out of his team. The Flames, which held an unexceptional record of 2-4-1 before making the trip to Iowa City, held on for longer than he would have liked to see. The second-year head coach said his team seemed to have a “hangover emotionally” following the in-state rivalry game.